Fan of burgers, fries, chicken wings and beers? 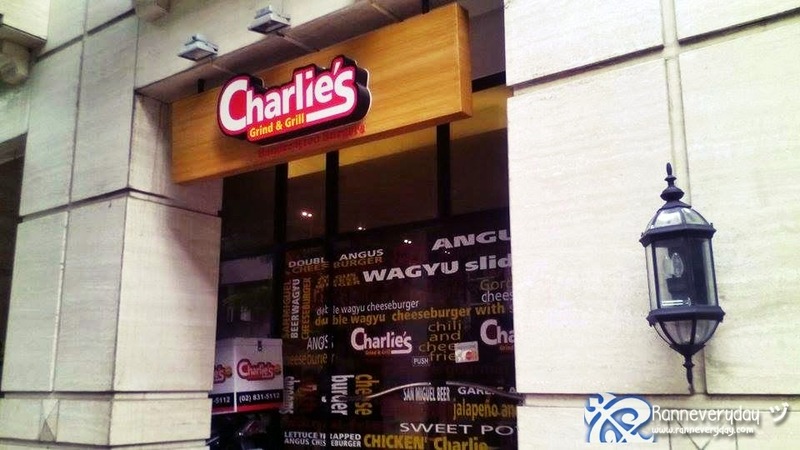 One of the known burger chains in town - Charlie's Grind and Grill - offers a wide range of heavy burgers and different chicken wings in town. It's a perfect place to eat with your friends and office mates - especially when its pay day! Charlie's Grind and Grill is a burger chain famous with their hand-crafted burgers, assorted flavors of chicken wings, and other famous American cuisine. Their branch at Legaspi Village, Makati City, with approx. 30-40 people can accommodate, is a perfect spot especially with the working yuppies around the vicinity. They are jam-packed most of the time especially at around lunch time and at late night. Men mostly go here to order burgers/chicken wings and match it with a local or international beer brands and spend some time alone or with friends. 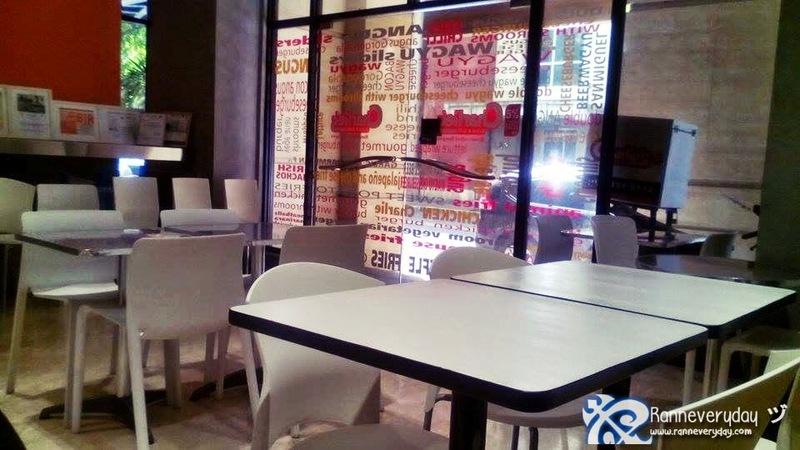 You can also enjoy watching movies in here or just have a chit-chat with your office mates. Jalapeno and Cheese Fries (Php 135.00) - For that price, I must say that these serving is quite a lot. 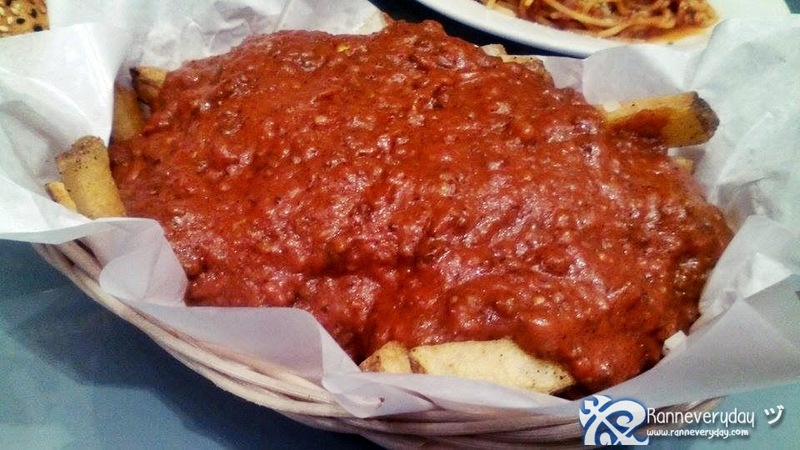 The cuts of the fries are big, topped with this spicy jalapeno and cheese sauce. It's not too spicy but if you would like to eat this, its much prefer having this with a shake or a beer. 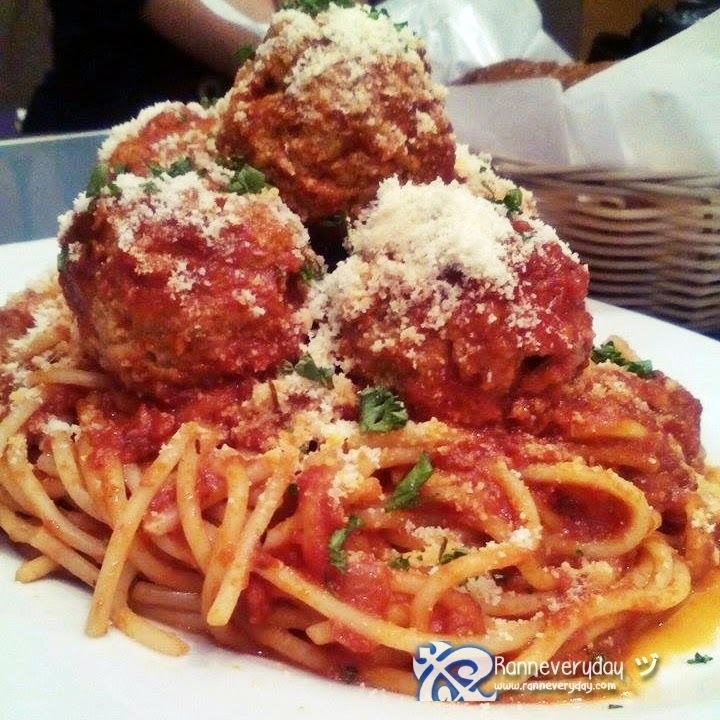 Meatballs Marinara (Meatball Spaghetti) (Php 330.00) - Expect this spaghetti to be not the usual Filipino taste - its not sweet. But what I really like about this dish is the meatballs. They are quite large. But as you cut it using a fork, the meatballs are really soft. It means that these meatballs has less extenders unlike others that when you cut it, it's cuts perfectly in-shape. 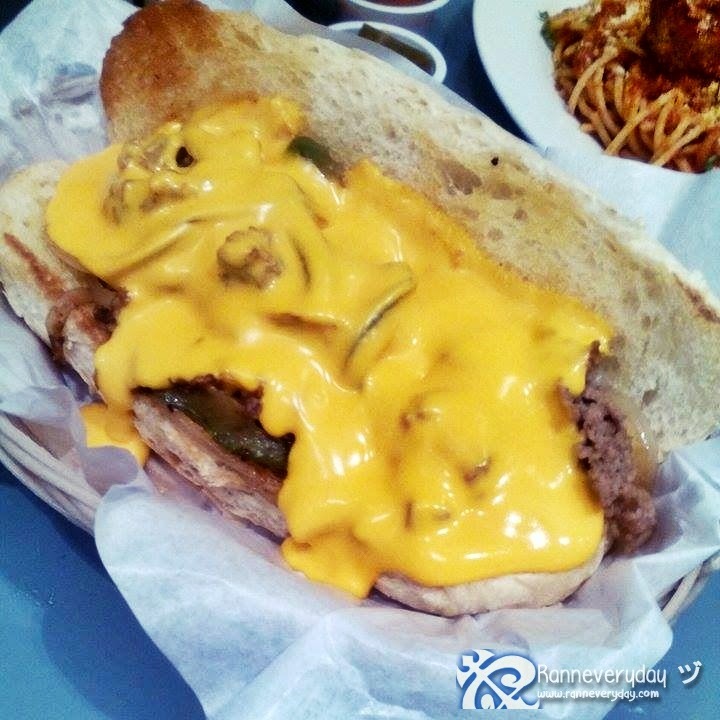 Wagyu Cheese Steak (Php 295.00) - Sauteed onions, peppers and meat, served with a Ranchero sauce and a side of Jalapeno. I didn't try to put the Ranchero sauce and Jalapeno in it but this dish is actually one of my favorite. The meat is plenty and especially the cheese. And yes, who wouldn't love cheese? This is really good. 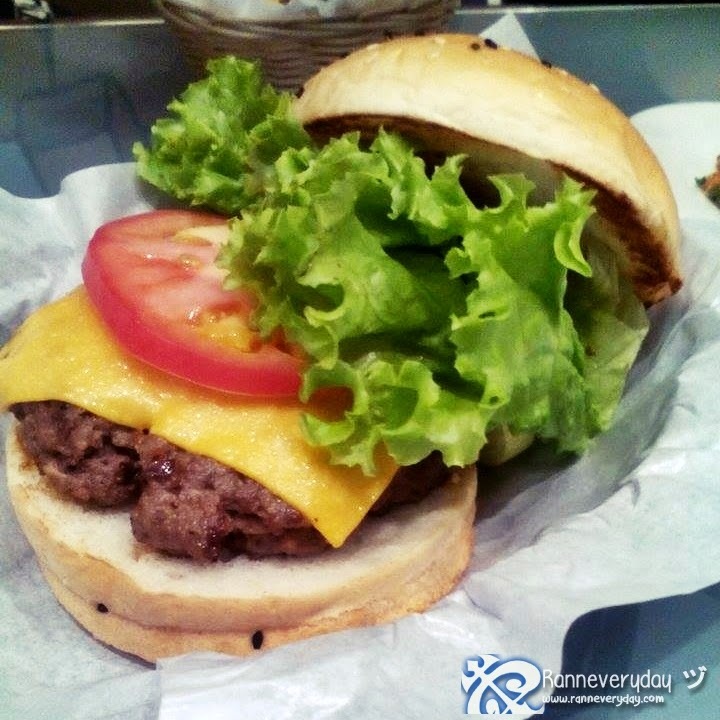 Wagyu Cheeseburger (Php 210.00) - The meat is juicy and taste good. But the only issue I have with their burgers is for me, the buns are more thicker than the patty, which makes this dish less tasty for me if you will not try to bite the patty itself. For sure they will improve their burgers more in the future. The lettuce and tomatoes are fresh. Their best-selling burger is the Angus Burger which we didn't able to try because it's not available that time. 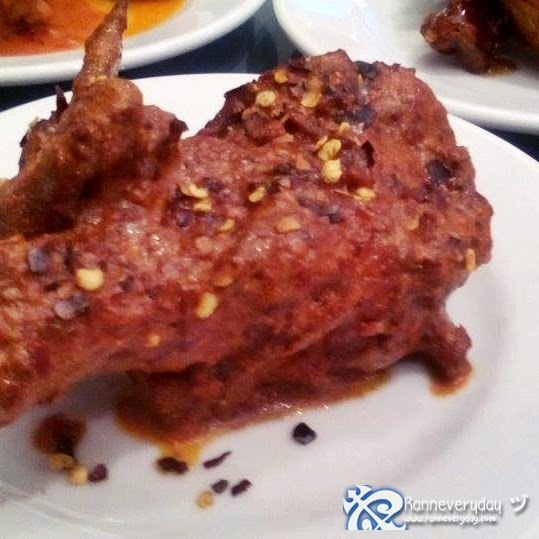 Horsey - If you crave for the taste of radish, this sauce if perfect for you. Aioli - Strong garlic flavor sauce. American - Loaded with fresh tomatoes. 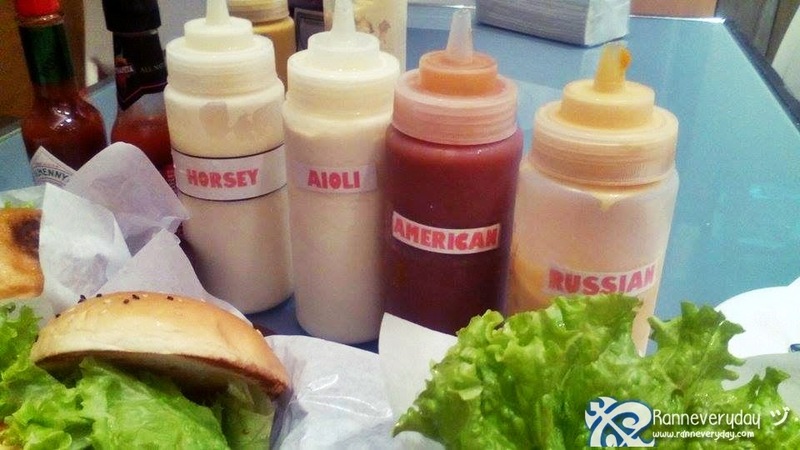 Russian - More in mustard. 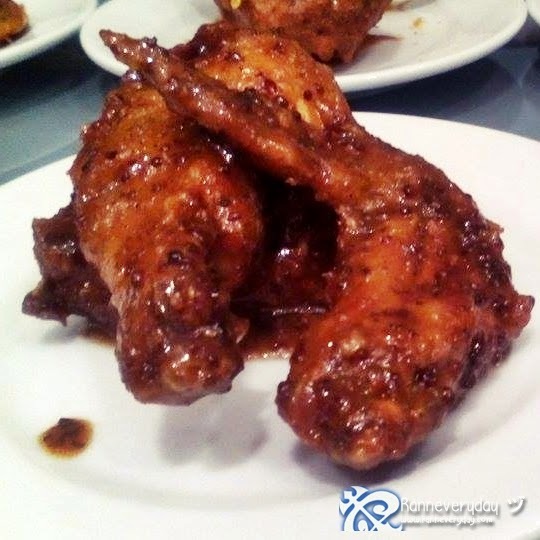 Sticky Wings (Left) - Sweet flavored chicken wings that kids will surely love. (Right) - With a twist of pepper and garlic in it. 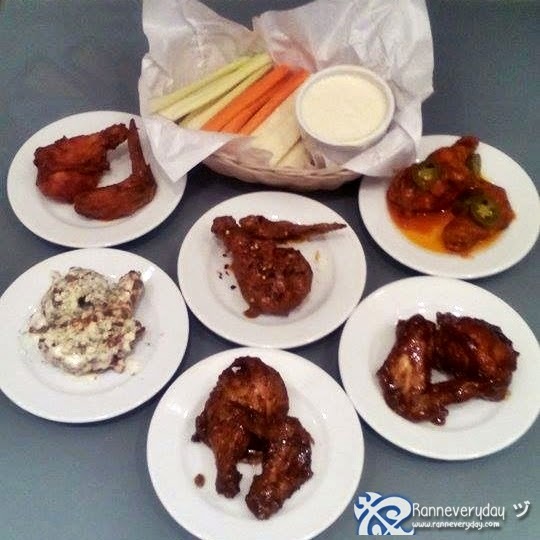 Buffalo Wings with Blue cheese (Left) - for all of the chicken wings served, this one if my favorite. The flavor of the cheese added creaminess to the chicken. Mild (Right) - This would be the first and the less spicy flavored chicken wings they serve. Nuclear (Left) - To describe it, it was almost 3x of the spiciness of the Mild one. Those chili flakes is enough to make this dish to be spicy. 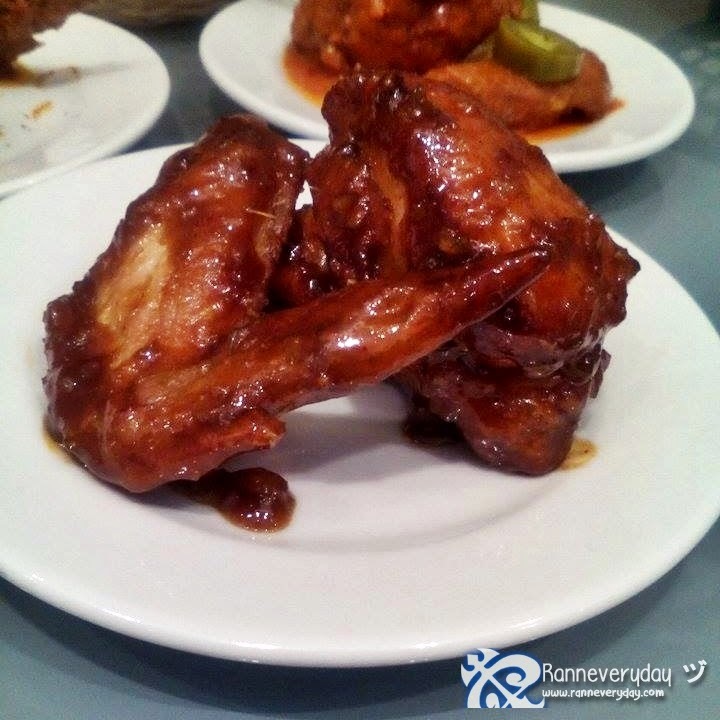 Buffalo Wings in Punyeta Sauce (right) - Yes, the name suits to describe how spicy this chicken is! The sauce is a bit oily but manageable. 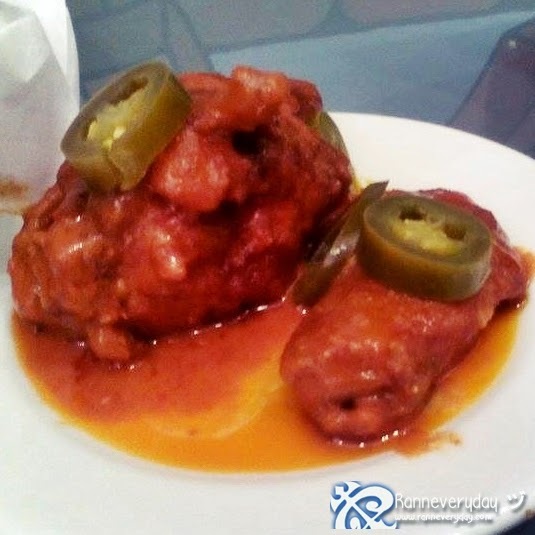 But if you have a very low tolerance with spicy food, you can pass with this dish. It's really perfect to match with a cold beer. These chicken wings, (half dozen/whole dozen) are served with some Veggie Sticks. It composed of Turnips, Carrots, and Celery stick. 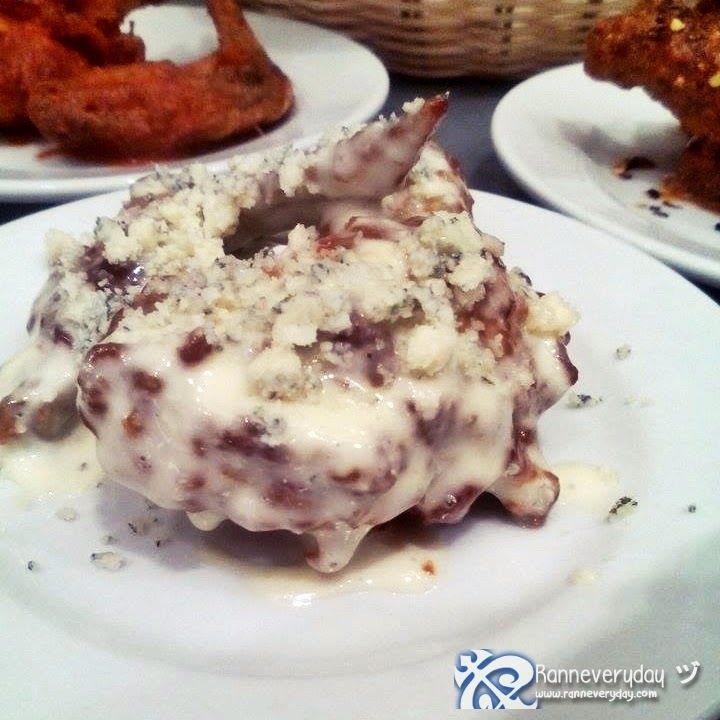 It comes with a very yummy blue cheese sauce. 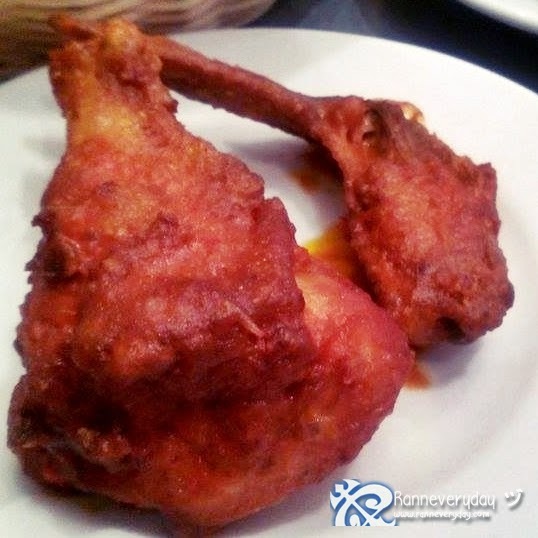 Perfect to remove those spiciness left on your tongue. The prices of dishes at Charlie's are wallet-friendly. Unlike other shops who served the same but got a higher price, Charlie's is a recommended place to try. 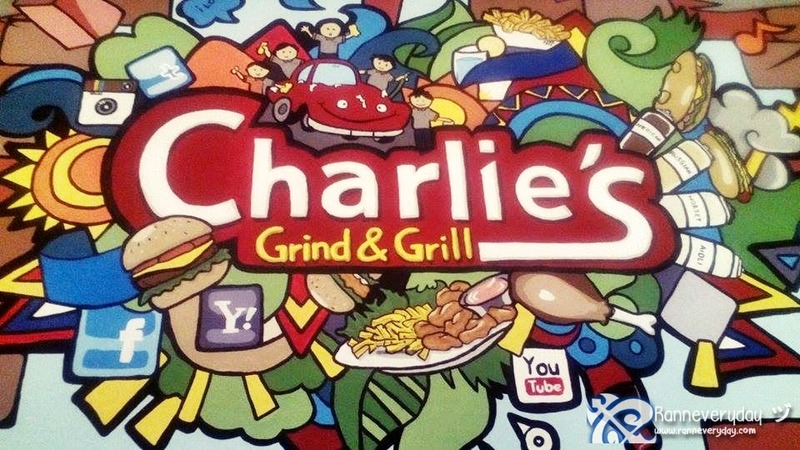 Have fun eating your favorite burgers here at Charlie's Grind and Grill! They have 3 branches around Metro Manila. 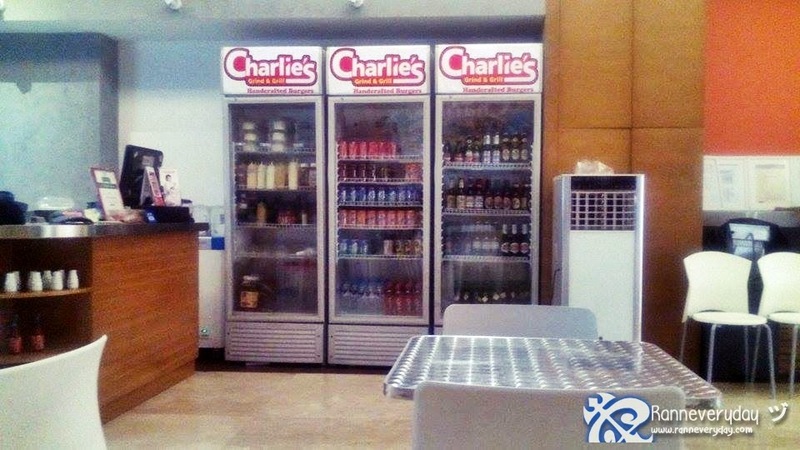 But if you happened to be at Makati, drop by at Charlie's and spend some big and spicy food experience with your friends! DISCLAIMER: My Charlie's Grind and Grill experience is brought to you by Liv Co. Lifestyle. Thank you so much!